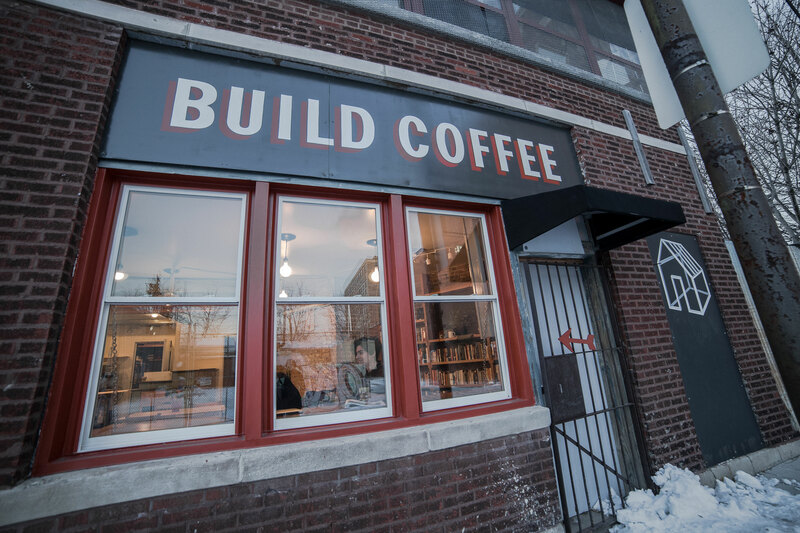 Build Coffee is a coffee shop and bookstore in the Experimental Station on the South Side of Chicago. 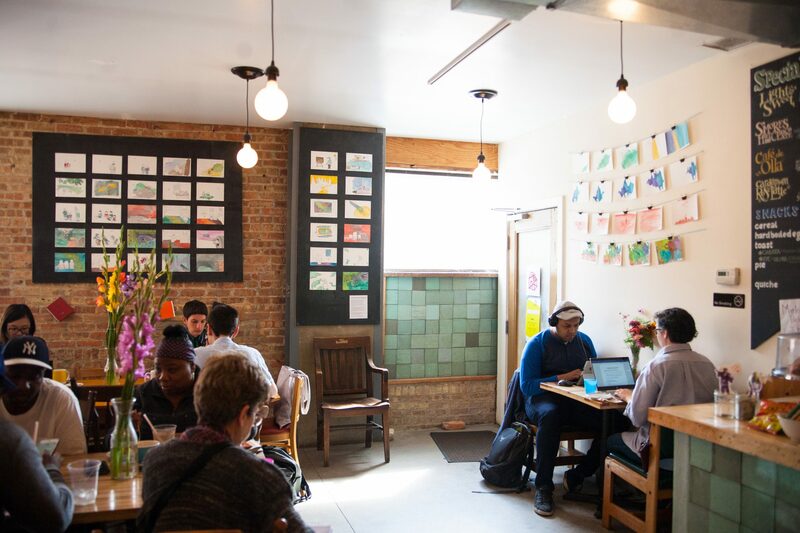 Surrounded by community-driven non-profits and civic journalism projects, Build is designed as a hub of great coffee and radical collaboration. 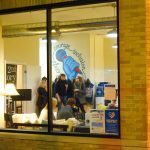 We act as a small venue for performances, workshops, gallery shows, book groups, game nights, and more. We also sell used books, local small press publications, journals, comics, art books, and zines. The newsletter archive is available here. Chicago, IL 60637 We’re in the Experimental Station, a non-profit working to build independent cultural infrastructure on the South Side of Chicago. 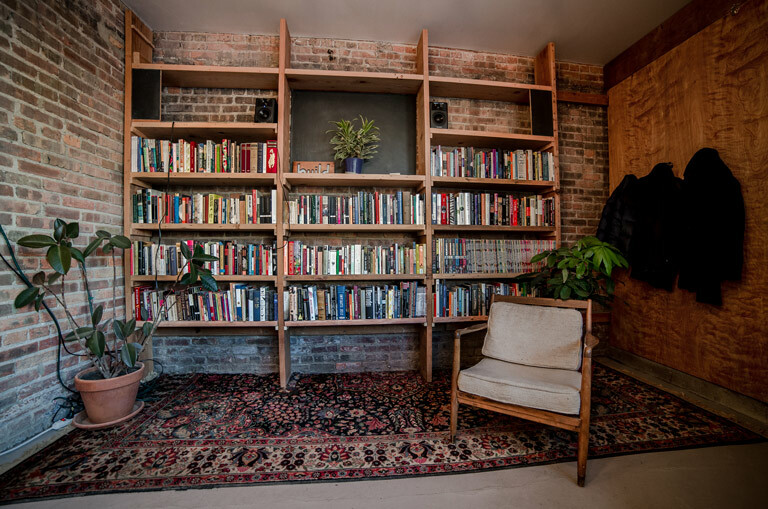 Our neighbors within the two-story brick building include bike shop/mentoring program Blackstone Bicycle Works and three of the most exciting journalism projects in the city: the Invisible Institute, City Bureau, and the South Side Weekly. We also share the building with the 61st St. Farmers Market, a year-round market with fresh food from local and regional farms. We have Build Coffee totes, mugs, pins, and coasters available in our online shop! Our bookshop features carefully curated used books and new stock from local presses and indie publishers. 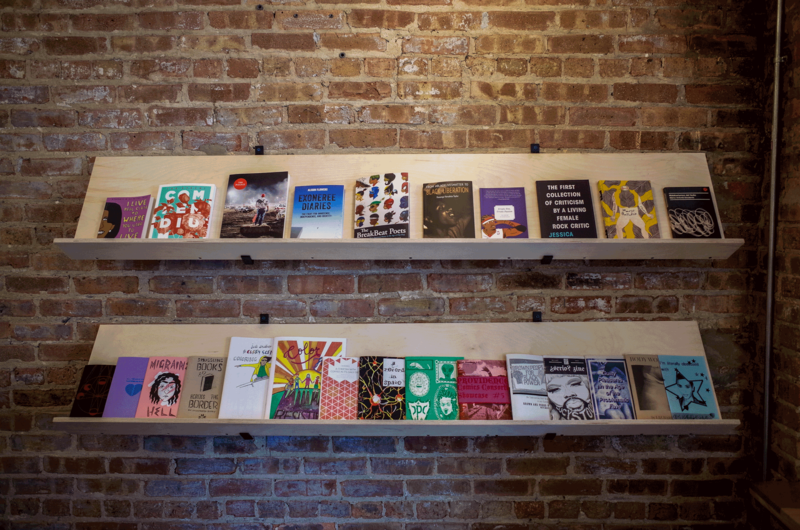 If you’re an artist or small press and would like to get your books/zines/comics/chapbooks on our shelves, check out our consignment form and get in touch at books@buildcoffee.org. We also gratefully accept book donations! 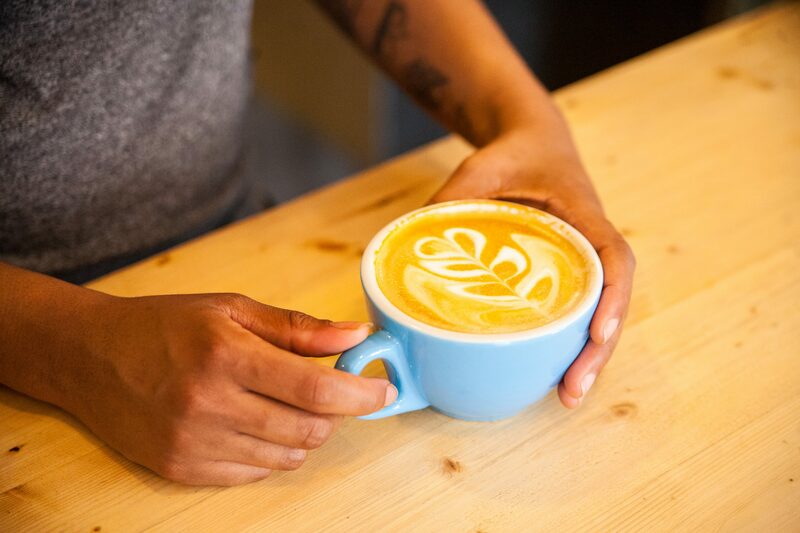 We serve coffee from HalfWit Coffee Roasters, who are small like us but serious about their beans. Like we do, they think coffee should be thoughtfully sourced, roasted and brewed with love and skill, and served without pretension. Our pie is from Justice of the Pies, an out-of-this world local bakery. We make our toast from Publican Quality Bread, which features local grains and award-winning, naturally leavened loaves. Whole boules and baguettes are available Wednesdays and Saturdays! 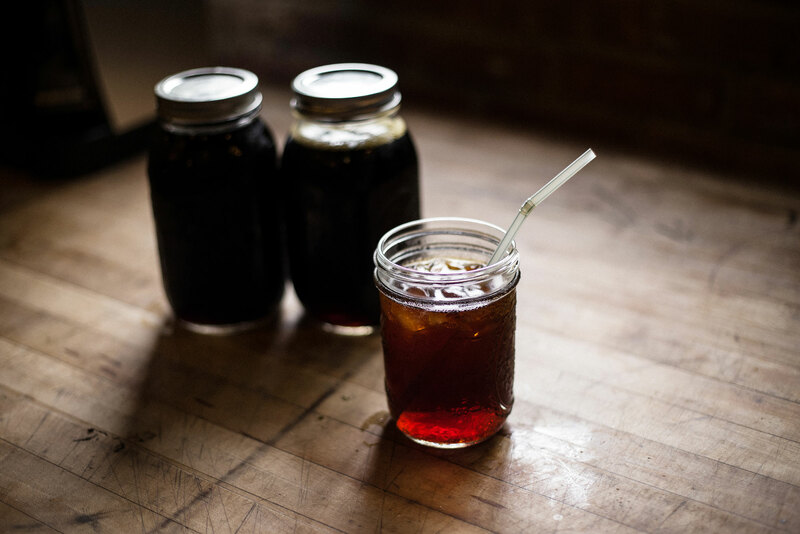 We cater hot coffee and tea, local pies and pastries, light lunches, and more—check out the menu here and get in touch at catering@buildcoffee.org or (773) 627-5058. $5-$10 delivery to Hyde Park & Woodlawn available with advance notice. 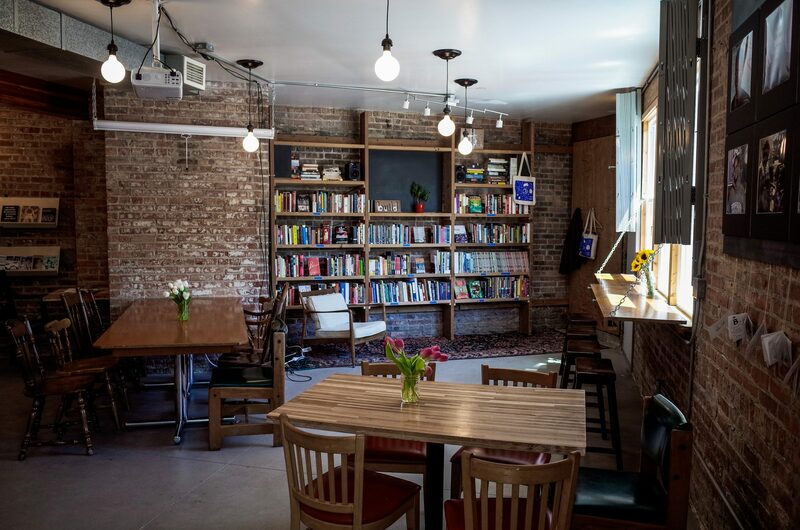 Build Coffee acts as a small venue for performances, workshops, gallery shows, book groups, game nights, and more. Interested in hosting with us? The shop is available to rent for public and private events. Shoot an email to our booker directly at events@buildcoffee.org. How can personal storytelling and journalism come together to challenge dominant narratives, and how they can be used as a tool for building community? To explore this questions, City Bureau and 2nd Story are bringing together a panel with WBEZ’s South Side Reporter Natalie Moore, Free Street Theater’s Artistic Director, Coya Paz, and 2nd Story company member Eric May. Moore is the author of The South Side: A Portrait of Chicago and American Segregation as well as monthly columns for the Sun-Times, where she draws from her personal and family history to ground current issues. In 2017, Paz collaborated with ProPublica Illinois to lead a series of workshops across the state that utilized theater practices to engage residents on ProPublica’s reporting. A former journalist with the Washington Post, May has taught fiction writing at Columbia College since 1993 and published his debut novel, Bedrock Faith, in 2014. After the conversation, attendees will have a chance to participate in an activity that will connect personal history with broader news. 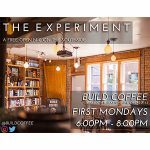 The Experiment is a free open mic at Build Coffee every first Monday of the month. Bring your songs, poems, music, stories, dances—whatever you can do in five minutes. Sign-ups open up at 6pm! Build Coffee welcomes Adornamorphosis Jewelry by Ruby Pinto for the second in our series of summer patio pop-ups during 61st Street Farmers Market! Ruby Pinto is an artist and organizer based in Chicago. She’s inspired to make art out of repurposed materials, and when she has the chance, she loves to create work that must be touched and even taken apart to be fully enjoyed. A founding member of For the People Artists Collective, Ruby believes that artistic expression and creative collaboration are at the core of liberation. 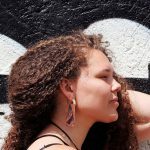 Her jewelry is made mostly of scrap metal, primarily copper, sourced from construction and demolition projects in Chicago and Pittsburgh, PA. She’s also recently integrated ethically-sourced bones into her work, and loves to highlight the intricacies and simplicity of nature’s designs in the jewelry she creates. We’d love to hear from you. To get in touch, email info@buildcoffee.org or fill out the contact form below.